Wide range of rollers for Lithography. 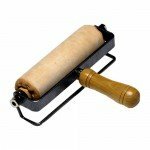 Our rollers are available in rubber and leather, various diameters and widths for all artists! Roll Hi-Tech leather Artools, 10 cm. 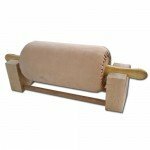 Lithography leather roll with handles, 25 cm long. Roll Hi-Tech leather Artools, 20 cm. Professional rubber roll, 40 cm., 125 mm diameter. Professional rubber roll, 50 cm., 135 mm diameter. 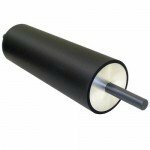 Lithography rubber roll Artools, 30 cm long 110 mm diameter. Professional rubber roll, 50 cm., 150 mm diameter. Lithography rubber roll Artools, 35 cm long. 110 mm. diameter. Lithography rubber roll Artools, 45 cm. long. 110 mm. diameter.